High reliability organizations (HROs) are characterized by their requirement to get it right the first time, every time. In such organizations the consequences of failure can be catastrophic. HROs face increasing complexity and risk in today’s multifaceted world, in turn straining financial resources and safety envelopes. Many such organizations rely on their operators conducting their own analysis of risk in hazardous environments. This analysis takes multiple forms and has multiple titles – for the purposes of this study Job Safety Analysis (JSA) will be used. 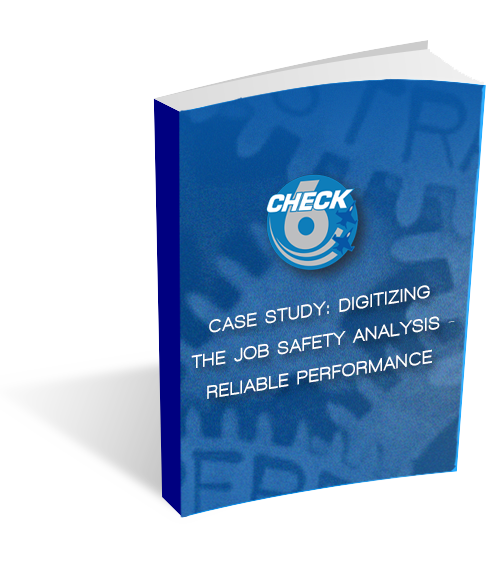 Moving away from paper to a digital system such as Check-6’s RIGOR®, provides several advantages. Not only is the interface easier for the operator, but it is quicker, more effective, and the data entered each time can be tracked, analyzed, and shared.